You have always suspected that health is your natural state. On your first visit you will have your past and present state of health and function measured Dr. Bob uses the sensitive ‘subluxation station’ scanner to measure your precise muscle balance and blood flow or thermal pattern. This means we focus on the function of your brain and nervous system which regulate ALL the other systems in your body. Dr. Bob used these to calculate your Score Score which is a single number from 1 to 100. We assess your past by analyzing spinal x-rays, and by learning your complete personal and family history. Be fully informed as you become a person who truly understands the role of chiropracTIC in your team of health care providers! In your Personal Health Report Dr. Bob relates your results to you and helps you clearly understand how your nerve system communication is essential for your body’s healing process as well as your overall health and well-being. He teaches you what it means to be free of subluxation in your spine and nervous system. Subluxation = less alive. 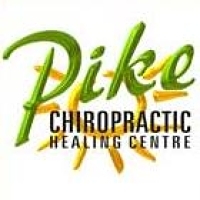 At Pike Chiropractic Healing Centre, we don’t “pop and pray”. We first measure and closely monitor your body’s function and then, only when you are ready to; we work with you to map out a plan that moves you towards the quality of health you choose. You are always in charge of how long you enjoy the benefits of your chiropractic care. I am a chiropractic master with over 34 years of hands-on experience as an holistic chiropractor. I deliver Lifetime Wellness Care to each of the 4Gs (that’s 4 generations!) living in my communities, first in Toronto and now Georgina. To be engaged in the intimate process of caring for your health is my privilege. It means setting a goal and then developing a plan to make it happen. I look forward to meeting you.soon and exploring this opportunity together. If you have any remaining questions e-mail me from here or pick up the phone for a brief conversation. Nothing is going to be done, no adjustments no money from you, until we are both ready and your plan is crystal clear, written down and dated. "Everyone needs a chiropractor and Chiropractic must be seen as required, not an alternative. Chiropractic has had a very positive impact on my life and the life of my family. We’ve got to let the people know that there is a necessity, it’s not even an option, it’s a necessity to have a Chiropractor. 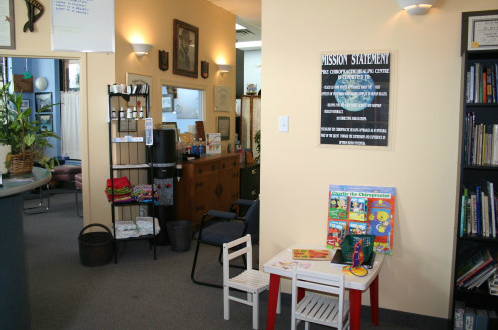 As much as it is a necessity to have a dentist, you should have a chiropractor for the family." "Chiropractic just makes you feel so much better. When I walk out of the clinic, I feel like I'm about three inches taller and everything's in place. And as long as I see the chiropractor, I feel like I'm one step ahead of the game. Top Professionals in every sport are under chiropractic care to increase health and performance. Behind every great champion, there is a chiropractor." "Being a Chiropractic patient has really helped me immensely...lifting weights and seeing a Chiropractor on a regular basis has made me a better golfer. I've been going to Chiropractors for as long as I can remember. It's as important to my training as practicing my swing. Top Professionals in every sport are under chiropractic care to increase health and performance. Behind every great champion, there is a chiropractor." Do you know the truth about Chiropractic? You will experience this here in its fullness at Pike Chiropractic. Most private insurance plans cover chiropractic services to some extent and direct billing is now available for some insurance providers. We welcome your questions so we can help you with your insurance needs. Please confirm with our office regarding which insurace coverage is currently available. Child are and lending library. Your kids can play and colour while mommy and daddy are adjusted while other family members may enjoy our health and wellness library. Simply focus on your breath and the music while you relax during your adjustments. In our open-concept adjustment suite. Your health and comfort are our utmost priority. Private care area is always available. For those visits when absolute privacy is required.